Turkey has "strongly" condemned Israel's decision not to renew the mandate of an international monitoring group in the occupied West Bank city of Hebron. 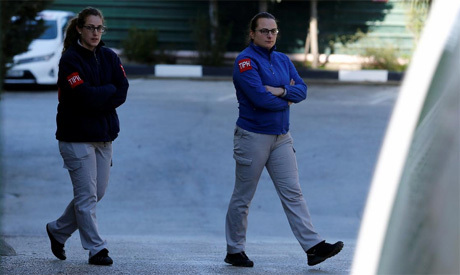 "We strongly condemn Israel's unilateral termination of the mandate of the 'Temporary International Presence in Hebron' (TIPH) ... and expect this political decision to be reversed," the Turkish foreign ministry said in a statement late on Friday. Israeli Prime Minister Benjamin Netanyahu said Monday he would not extend its mandate, accusing it of bias. Ankara, however, dismissed the Israeli claim. "We decisively reject the allegation that the TIPH has been working against Israel, which is presented by Israel as a justification for its decision." Palestinian and European officials have also expressed concern and regret over the Israeli decision.